Numberjacks – are on their way! 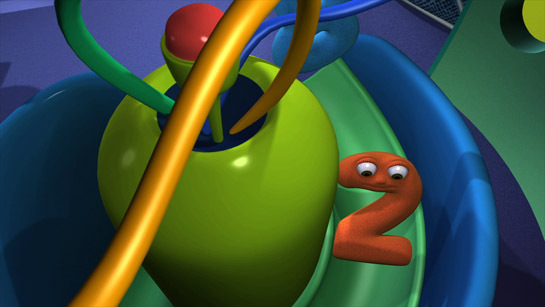 Numberjacks: Mission to Learn is an exciting and entertaining world where children become engaged with and learn mathematics through a unique mix of games, video, audio, images and interactivity. For just £19.99 you can buy a lifetime subscription to the site. This innovative project builds on the creative and educational strengths of the Numberjacks television series, voted the most educational children’s television programme in the UK (Tanya Byron, Freeview Survey). If you would like to download Numberjacks episodes but you don’t live in Austraila or UK, let us know. Numberjacks are on their way! 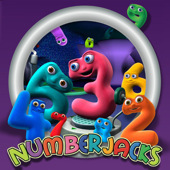 The Numberjacks is all about excitement, fun and learning, thinking skills, problem solving and maths. 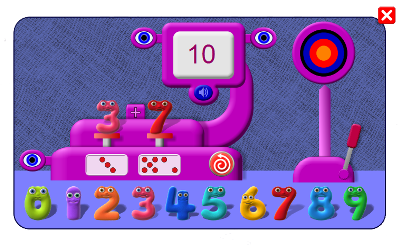 The Numberjacks are ten small superhero numbers: 0, 1, 2, 3, 4, 5, 6, 7, 8, and 9. They go about their everyday lives inside their sofa until a call comes in from a real-life child Agent, who reports a problem that needs solving. One or two of the Numberjacks fly out on location to investigate. The Numberjacks have to work out how to put things right, and thwart the dastardly intentions of the Meanies. After much fun, adventure and powerful thinking the Numberjacks win the day – till next time. The Numberjacks appear in 65 television episodes, broadcast by the BBC in the UK, and in more than 30 other countries around the world. The Numberjacks’ many stories are also told in 42 radio episodes on BBC7 in the UK (and one Christmas special), and on DVD. Numberjacks have their own channel on YouTube where you can view every episode and many other videos completely free! Numberjacks isn’t just available as a television series or YouTube or on DVD, there are also 42 specially made radio episodes. Each one of these episodes features the Numberjacks encountering a problem related to a traditional story or nursery rhyme, and were made for CBeebies Radio and broadcast on BBC Radio 7. The Numberjacks magazine also includes these audio stories, bringing them to life on the page. All of the episodes are already available on YouTube www.youtube.com . The Numberjacks Audio Stories are also available to be streamed on Spotify, Apple Music & More! Thanks for watching! Subscribe Kids!